Tomorrow afternoon is my “Lost Parks” presentation at the San Mateo County Museum. The presentation starts promptly at 1:00pm – don’t be late! Planning your weekend already? Don’t forget about my “Lost Parks” presentation at the San Mateo County History Museum at 1:00pm this Saturday. Join me as I take you back in time to five different defunct amusement parks from the greater Bay Area, as well as explain why our history is so important to preserve. In addition, you’ll see how you can still experience pieces of these long gone parks in our modern world. See you there! We’re Presenting at the San Mateo County History Museum! 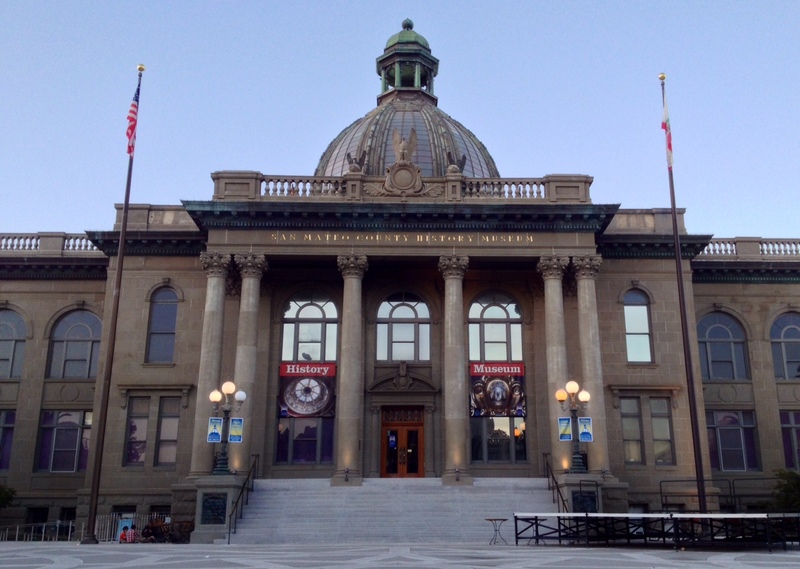 Great American Thrills is honored to announce that we’ve been selected as a presenter in the San Mateo County History Museum’s “Courthouse Docket” series, exploring the rich history of the region. 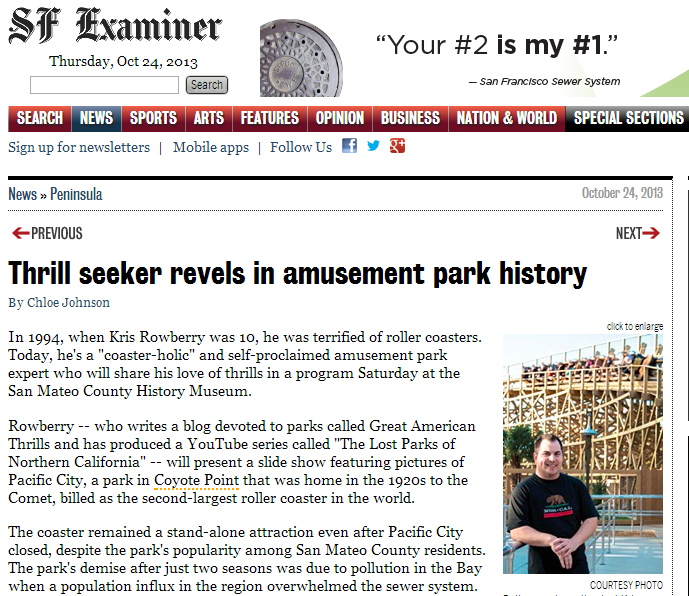 Come down on October 26th at 1:00pm and see “The Next Huell Howser” – aka Kris Rowberry – show you how you can still experience some of our bygone amusement parks…today! Who knows, you just might learn something, too! August 30, 2013 | Categories: Lost Parks, Television Production | Tags: #lostparks, ACE, american coaster enthusiasts, courthouse docket, gat, great american thrills, history, history presentation, Huell Howser, kris rowberry, kristopher rowberry, lost parks of northern california, new host, new show idea, new talent, presentation, san mateo, san mateo county history, san mateo county history museum, the lost parks of northern california, the next huell howser | Comments Off on We’re Presenting at the San Mateo County History Museum!